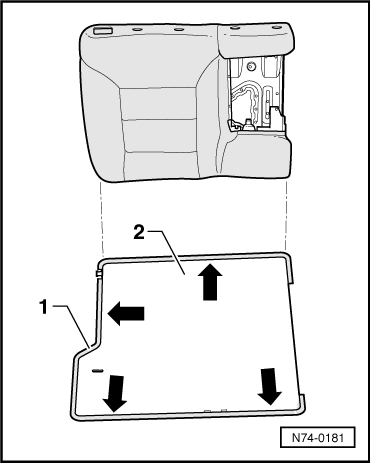 HowToRepairGuide.com: 2000 VW Golf Estate: Remove Rear Seat Catch Release? 2000 VW Golf Estate: Remove Rear Seat Catch Release? The Catch release for rear seat is broken and has to be replaced. This is very simple and just take few minutes. First remove the release mechanism.The catch mechanism will just get lifted out from the top of the seat. But some times it just get difficult in that cases the complete assembly has to be taken apart. I will define the detailed procedure with help diagrams.To make this task easier for you. On VW golf the release lever is on top of the seat. On some car models the release lever is on the back of the rear seat in the boot area. But in either way the release levers and cables are prone to snapping inside the seat, and it will be a case of removing the other seat to then remove this seat and then partially strip the seat cover and backing to gain access to the release lever and cable for replacement. What you have to do is,Pull out seat cover from panel in boot on back of seat,this will give you some slack to then go behind seat cover from inside the car to then gain access to latch to allow you to release it from the striker plate, this wont be easy and can be very tight and not much room. 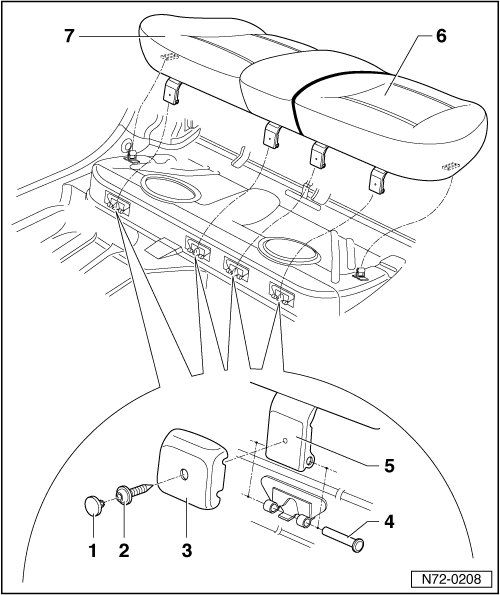 You will also need to remove the lower bench seat to gain as much access as possible.